Combining the advantages of a color atlas with those of a short text, the authors provide systematic coverage of the diseases and disorders of the digestive tract. The book is filled with high quality color imaging and diagrams and includes the latest developments in investigation and management with special attention to refinements in endoscopy and other imaging techniques. The book is ideal for those preparing for higher qualifications in gastroenterology and general medicine, and for physicians and medical students who want a handy general reference source to problems of the digestive system. 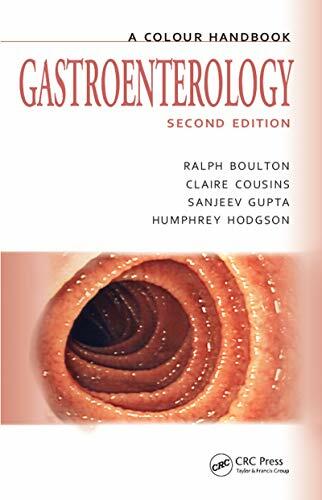 A revised edition of a useful handbook of clinical gastroenterology providing systematic yet concise coverage of the diseases and disorders of the digestive tract. The wide experience of the authors' background in both clinical gastroenterology and imaging is reflected in the informative text which is illustrated with colour photos, imaging and diagrams of the highest quality. The book will appeal to those preparing for higher qualifications in gastroenterology and general medicine, and to physicians and medical students who want a handy general reference source to problems of the digestive system. Easy to dip into and a pleasure to read...Manson have certainly come up trumps with this handy volume which will be a useful addition to any practice library. Strongly recommended. Attractive to browse through and well presented, with good quality illustrations and sensible text under clear headings. BOULTON, RALPH; COUSINS, CLAIRE; GUPTA, SANJEEV; HODGSON, HUMPHREY.